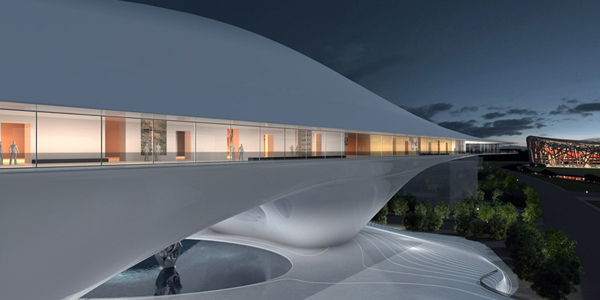 The building was designed by MAD Architects, as proposal for the international competition for the future National Art Museum of China in Bejing. 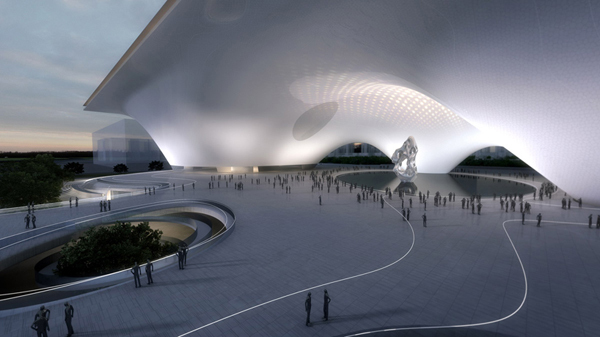 Their concept is based on an elevated public square which is protected by a floating mega volume above. The original structure of the National Art Museum of China (NAMOC) built in 1962, houses one of the country’s largest art collections and has played host to some of the influential exhibitions as recorded in contemporary Chinese history. 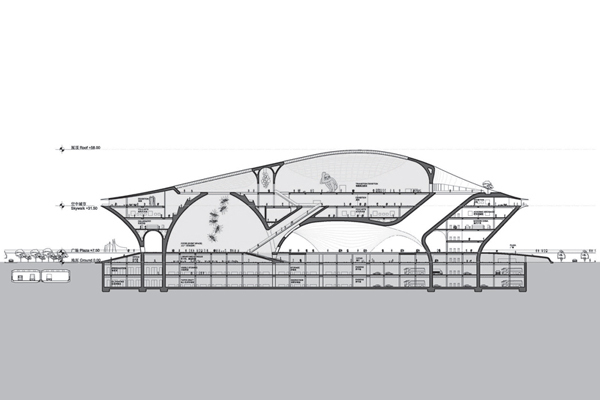 The current plans are to move the institution into a new building, situated within a designated ‘art district’ on the central axis of the 2008 Olympic site. 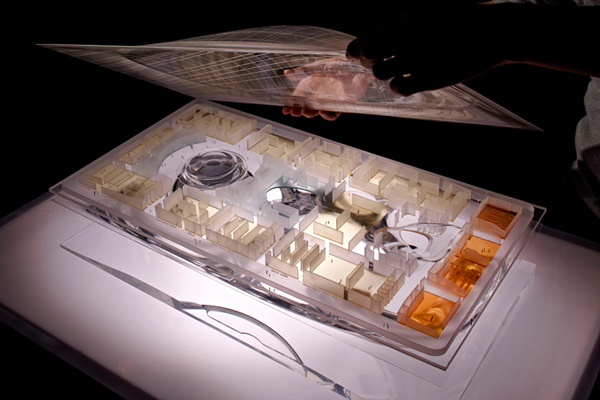 MAD’s design is organized into three layers, where programs are divided by each level. The one-storey ground floor houses all ancillary functions and is conceived in such a way that it can be operated independently from the museum in off hours. Above this, a 20,000 square meter urban plaza program acts as the main gallery for permanent art collections and exhibitions. 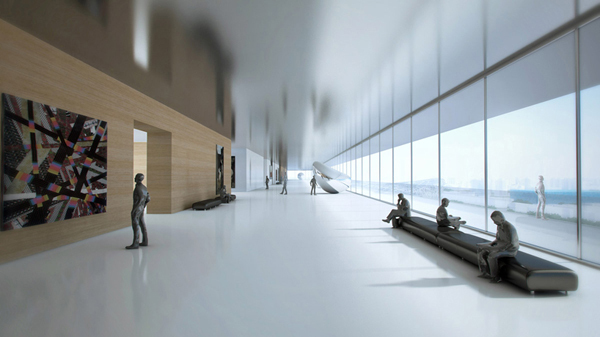 The arrangement of this hall gives visitors the opportunity to decide how to engage with the works on show, while simultaneously being surrounded by outward views of the surrounding cityscape courtesy of windows that wrap around the perimeter of the structure. This level is also directly connected to the former Olympic park via a bridge, thus making use of an area of the urban plan which would otherwise be ignored.